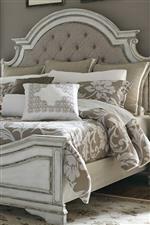 This elegant set presents a rustic and traditional look for your bedroom setting. Featuring a beautiful desk with tall turned legs, the set includes a large three panel mirror for extended accommodation. Completed with a matching stool with an upholstered seat, this set will transform your home bedroom space. 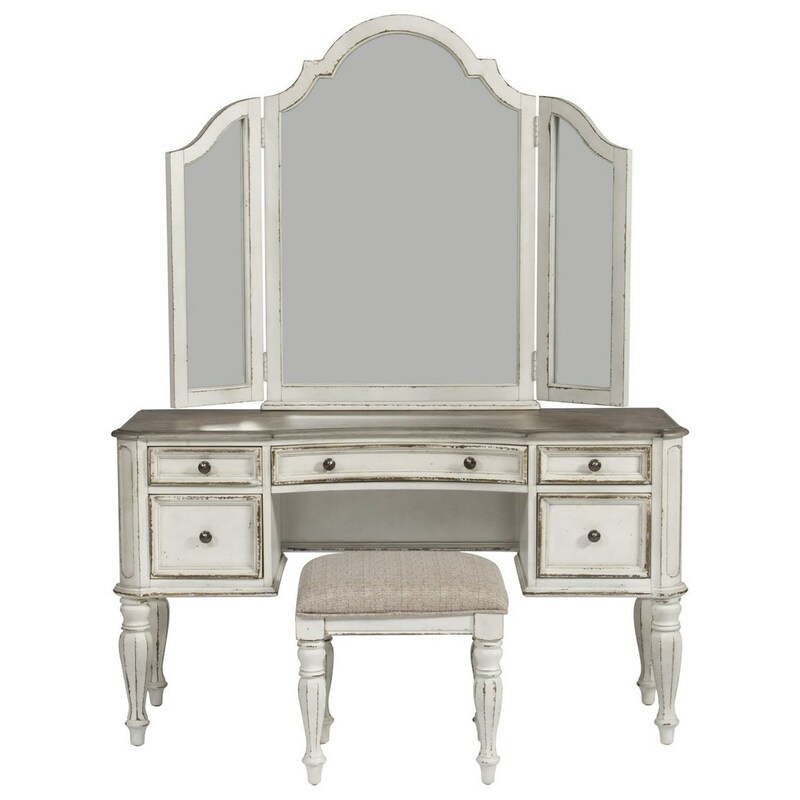 The Magnolia Manor Bedroom Vanity Set by Liberty Furniture at Miskelly Furniture in the Jackson, Pearl, Madison, Ridgeland, Flowood Mississippi area. Product availability may vary. Contact us for the most current availability on this product.